Situated within Chicago’s Grant Park, giving it access to 115 acres of space between Downtown Chicago and Lake Michigan, Lollapalooza was created in 1991 by Jane’s Addiction singer Perry Farrell as a farewell tour for his band. 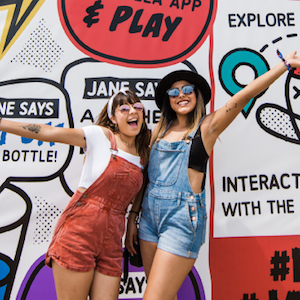 Lollapalooza is the very anticipated annual music festival featuring alternative rock, heavy metal, punk rock and hip hop bands, dance and comedy performances, and craft booths. The Box Office is just north of the Main Entrance at S. Michigan Avenue and E. Van Buren Street. There will be new perks and amenities added to Lollapalooza in 2018. Visitors can upgrade to GA+ which includes shaded seating, air-conditioned restrooms, discounted beer, wine, and cocktails, complimentary water, and soft drinks and more. At Lollapalooza there is a new ping pong area near Perry’s stage. Play friends for prizes and/or witness scheduled ping pong exhibition matches from scheduled tournament pros. “Jane Sez” will be an interactive experience where anyone can win prizes at the video tower. This year the Lolla Mobile App carries a Virtual Schedule feature that displays information about who is currently playing, who will be on next and more when pointed at a particular stage. Best of all, there will be more beer as the festival is offering special savings on four Packs of Bud Light at the carrier cooler available at the four new Beer Bars plus the Bud Light Dive Bar. Bands and performers are understandably the big news anticipated at Lollapalooza. Responsible for introducing and popularizing some of the big musical names, this year’s lineup will include: Travis Scott, Q Brothers, Kali Uchis, Emilia Ali, Jaden Smith, Cleopatrick, Franz Ferdinand, Space Jesus, Lil Pump, Matt Maeson, BeBe Rexha, Madison Beer, Arctic Monkeys, Bomba Estereo, Big Wild, Dua Lipa, Freya Ridings, Lil Uzi Vert, Jesse Baez, Zedd, Valentino Khan, Jack White, The Regrettes, Post Malone, Petit Biscuit, Portugal The Man, Grace Weber, The Weeknd, Alina Baraz, Lil Uzi Vert, The Wombats, Chvrches, Bruno Mars, and so many others. This year, to help keep the party going, Official 2018 Lollapalooza Aftershows and parties are planned for designated venues around Chicago, such as Metro, House of Blues and Prysm, among others from July 31 through August 5. How do bands get booked for Lollapalooza? For unsigned bands, Lollapalooza works with Sonicbids in the Last Band Standing contest that lets fans pick an unsigned band to play at the festival. Indie Entertainment Summit, happening in the NoHo Arts District of Los Angeles, surveys a wide swath of the world of entertainment and media. Content, production, distribution, marketing, social media, press coverage, film-TV-game-commercial placements, touring, international business, investors/endorsements/sponsors and much more are covered in-depth to expand, grow and optimize a career. Starting independent (DIY) productions have been easier to launch than at this time because of the low cost of digital production tools and the power of mobile and internet technologies to project and reach audiences. The Summit’s Deal Link feature connects IES attendees with industry decision makers for 1-on-1 meetings. Attendees get a couple of minutes to present themselves, break down selling points and create an impression on an attending industry pro. Show them why they should check out your music, video, or project, and retain their interest for future communication, follow up meetings and potential business ventures with you. The 2018 IES summit opens its August 10 starting date with the Induction of Michael Jackson in IES Honors and with significant persons from his iconic life. The program breaks down into three days of Industry seminars and workshops, and four nights of live music and IES Honors, world premieres and special performances. During seminar sessions, attendees can select varied topics to learn pertinent skills and techniques. The Latest Tech To Power Your Business: Hear from leaders in mobile and interactive technologies and find the tools and apps needed to fast-track a business. Become a YouTube Star. Hear from those artists that have turned their art into 100 million+ views and hear how they did it. Where the Industry Is Heading: Keeping ahead of the curve is critical, learn from those in the know and get a jump on the latest trends. Gear and Tech Expo: Test drive cutting-edge music gear and entertainment technology from leading manufacturers and tech companies. And best of all, party at night and mingle with industry peers and catch up and coming artists and bands from all over the country and world at IES events happening nightly. The conference portion of the summit offers attendees an opportunity to learn and grow with over 40 seminars and workshops where industry leaders share their secrets for success in the business in vital areas of the industry. Speakers include executives from recognizable music labels, BMI, SESAC, ASCAP, The Orchard, Indiepower, Grammys, Discmakers, CD Baby, ADA, Ingrooves, Spotify, Pledge Music, Kickstarter, Pandora, TV program creators, social media leaders, influencers, DJs and radio programmers, influential blogs – magazine journalists, concert and tour promoters, film production companies, and more. Western Canada’s Urban Electronic Music Festival presents MEMETIC. MEMETIC is intent upon overseeing the development of digital creativity in sound, music, and audio-visual art. Its mandate is to provide a platform for the most original and forward-thinking artists currently working in their fields while providing an outlet of discovery for its audiences. MEMETIC is made up of a collective of members with backgrounds in electronic music production, audio experimentation, video projection performances, multi-media installations, event organization, artist management, graphic design, photography, special event marketing, web development and record label management. MEMETIC has a specific focus on Manitoban musicians and artists and also distributes links to international networks promoting electronic music artists of Manitoba and throughout the globe. MEME workshops presented in partnership with Manitoba Music will survey all aspects of electronic music production through presentations, industry panels and hands-on demonstrations from producers who will be performing at the Festival. MEMETIC’s workshops and clinics intend to create a sonic space that can support innovation in new electronic music and digital art. There are also free educational workshops through community outreach and providing special guest presenters during the annual MEME festival. Among guest presenters, you can expect to hear from include… London’s Richard West aka Mr.C, Superfreq; DJ Jay Tripwire (#notvegan), David Brian Pezzner of Tarzana, Andrea Graham of Bass Coast is also known as the Librarian, producer/engineer/composer Phil Western, Noah Pred with releases on Cynosure and Highgrade, Manchester’s Joe McBride AKA Synkro, Nathan Jonson formerly producing and DJing as Hrdvsion, futuristic psychedelic sounds and sound design of Chris Komus, Calgary based techno producer Krystle Brieger (a.k.a. “Kloves”), house music artist Esette (Isis Graham), Sean Kosa of Facecontrol Audio Industries, Fishead of the Barcelona weekly radio show called “Control to Chaos” Dunmore Park responsible for a music production school, the Night Vision Music Academy, Breakbeat DJ Marty McFly, Molly Fi was runner-up in the “Best of Calgary” Best DJ Award, Mike Gibbs is a resident DJ @ Box Of Kittens, Manchester’s Joe McBride pens elaborate, emotive & intellectual soundscapes. MEMETIC works year-round producing smaller events ranging in size from 150 – 500 people. All events feature a combination of local musicians and digital artists with occasional international talent. The shows throughout the year help provide regular venues to showcase cutting-edge performances and to help build a regular scene that is highlighted by the annual MEME festival at Old Market Square. Although MEMETIC was formed in 2009, its key members have been heavily involved in their respective projects for at least a decade each and in some cases over 20 years. MEMETIC is a highly experienced and passionate group of people who bring a variety of skills together that are required to organize world-class electronic music events. 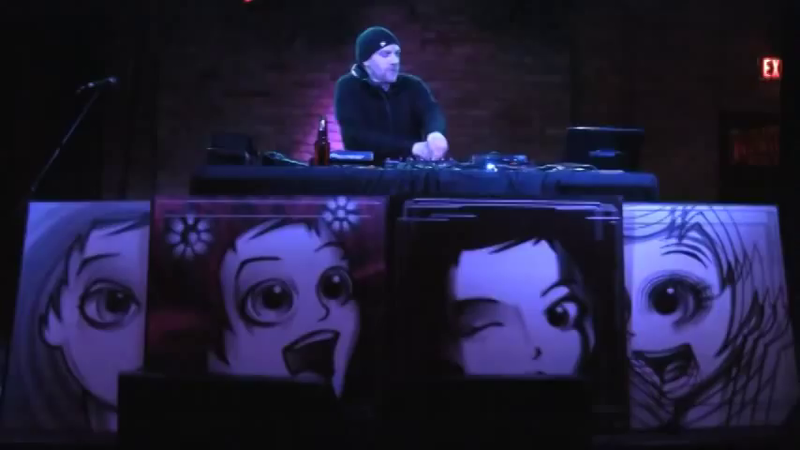 In June of 2010 MEMETIC produced Winnipeg’s first-ever free electronic music concert in the heart of Winnipeg’s Exchange District. This initiative stemmed from MEMETIC’s desire to reach vast new audiences and to inaugurate The Cube, a new internationally renowned architectural landmark. Edinburgh TV Festival is a renowned media event in the UK. Over three days concluding August 24, it brings together all parts of the television and digital world to celebrate the creativity, diversity and inspirational talent in the field, and to debate the major issues worth raising in the industry. The Festival draws thousands of delegates from the major networks and production companies across the globe. The MacTaggart Lecture has formed the centerpiece of the Festival since 1976. It is formulated as an authoritative platform to help shape the debate in the global television industry. Past MacTaggart speakers include: Rupert Murdoch, Ted Turner, Dennis Potter, Sir David Attenborough, Armando Iannucci, Mike Lombardo, Sharon Horgan, and Ricky Gervais, to name a few. 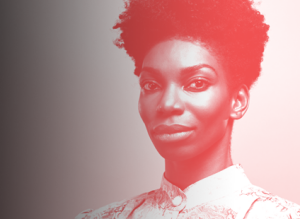 In 2018, award-winning actress, screenwriter, singer, songwriter, poet, and playwright, Michaela Coel delivers the 43rd MacTaggart Lecture. In October 2015, Coel starred in and wrote a new sitcom for E4 called Chewing Gum, inspired by her play Chewing Gum Dreams. Her performance earned her two Royal Television Society Awards for ‘Best Comedy Performance’ and ‘Breakthrough Performance’, a BAFTA Television Craft Award for ‘Breakthrough Talent’, the ‘Best Female Performance in a Comedy Programme’ award at the Television BAFTAs and a Broadcast Digital Award for ‘Best Scripted Programme’. Beyond MacTaggart, there are over 60 sessions including keynotes, masterclasses, and workshops. Other esteemed professionals that are slated to make presentations or serve on panels include, Samantha McMillon, ITVS UK Drama; Brandon Riegg, Unscripted Originals and Acquisitions at Netflix; Dotty (A.Dot), BBC Radio 1XTRA; Joanna Lumley, actress; Zillah Watson, Virtual Reality at BBC; Kevin Lygo, ITV; Tim Leberecht, The Business Romantic Society; Luke Hyams, YouTube EMEA; Stephen Frears, A Very English Scandal; Zai Bennett, Sky Entertainment, UK and Ireland; Steph McGovern, BBC; Andrea Wong, Liberty Media Corporation; Shane Allen, BBC; Axel Eriksson, Discovery Networks Sweden; Scott Bryan, BuzzFeed UK; Brad Holcman, A&E; Samantha Glynne, FreemantleMedia; Chachi Senior, Paramount Networks; Piers Wenger, BBC; Dara Nasr, Twiter UK; Paul Telegdy, NBC; Gena McCarthy, Lifetime and FYI; Kerry Taylor, Viacom International Media Networks; Jessica Sykes, World Productions. Assigned meetings is a staple networking tool of some festivals to facilitate quick access to professionals that matter in a certain industry. New for 2018, Edinburgh International Television Festival introduces the new Connect With zone. with features and filmed interviews with the international panelists and speakers previously mentioned as well as global producers, distributors, and commissioners, producer, distributor, talent manager or specialist who are ready to share business opportunities and insight into their markets. From the website, interested parties can click the “Connect With” link to narrow down to a country/regional choice of their choosing including, Sweden, Norway, France, Germany, Canada, and Belgium to name a few. In 2018, the festival reports that it is importing more international hosts to attend speed meetings events. This includes commissioners from the BBC, Sky, Channel 4, Five, UKTV, hosts from Yle, France TV, ABC Australia, CBC Canada and Bonnier Broadcasting on the list to host meetings. Annual IFA in Berlin presents products and innovations through a convergence of startups, research laboratories, universities, and established companies introducing tomorrow’s ideas, products, and solutions in the field of consumer electronics. IFA+ Summit in Berlin does a deep dive into the future digital landscape and the impact it will have on society and resulting media culture. The convention and conference opening the final day of the month for a six-day run showcase disruptive ideas, visions and forward thinking on the future of new, high-tech forms of connectivity and innovative business models. The event is divided into four thematic clusters focused on the challenges of future communication technology: Intelligence 2024, Society 2024, Interaction 2024 and Experience 2024. Leading figures of the digital age provide impulses, in-depth workshops, and space for discussions with guests, pragmatically creating optimized opportunities for participants to expand their worldwide network. An exclusive networking theme at this year’s IFA Summit show is titled “All You Can Meet,” where visitors come together to exchange ideas over drinks and dinner at a September 3 engagement. “All You Can Meet” is organized by the Berlin Music Commission, German Startups Association and Berlinale. It’s also the launch party for the sampler “listen to berlin.” Last year singer-songwriter Dota Kehr played an acoustic set in the Marshall House. During IFA Keynotes and IFA+ Summit conference sequences, expect to hear from speakers such as Poppy Crum of Dolby Laboratories, Professor James Curran of Goldsmiths University, Professor Robin D. Hanson of George Mason University, World Chess Champion Garry Kasparov, Jens Lambrecht of GESTALT Robotics GmbH, Alexander Mankowsky of Daimler AG, The Storyteller from the Future – Karen Palmer, cyborg activist Moon Ribas, and other esteemed professionals and academicians. As mentioned earlier, the program is organized into clusters. Intelligence 2024 focuses on the wider scope of AI while examining what impact Artificial Intelligence will have in the future and how the potential of smart technologies affects different aspects of life. Interaction 2024 will attempt to envision how new technologies will change the way people interact in an interconnected world. Society 2024 will focus on the various social aspects of digitization and how different aspects of everyday life, e.g. public administration, health care or the financial world look like in 10 years under them. Experience 2024 is dedicated to the emerging field of VR/AR/MR, future consumer experience and attitudes towards these new technologies, and how usage behavior of future realities develops. The above events are only a sample of what is fully listed. Complete details are on the “Calendar of Global Media and Showbiz Industry Social Networking Events” page. If you like this report and other content found on The Actor’s Checklist, like the Facebook page at this link. In this month’s photo placement (starting at the very top), Western Canada’s Urban Electronic Music Festival, MEMETIC, creates an environment to unveil the artistry, trends and future direction for electronic sound and music. Next, revelers at Lollapalooza in Chicago, the logo of the Indie Entertainment Summit in North Hollywood, Michaela Coel is the 43rd MacTaggart Lecture speaker at Edinburgh TV Festival. Moving on from August we get past the summer holiday period, schools reopen and events calendar activity ticks up a bit. Though not quite at full steam, here are some calendar dates for you to know about. Entertainment and technology show IBC 2018 opens in Amsterdam, the L.A. Film Festival will be based in Culver City, a VR/AR Global Summit hosted by the VR/AR Association comes to Vancouver, Broadcast Indonesia 2018 will get underway in Jakarta, NAB’s The Radio Show examines radio’s economic future in Orlando, Cannes Corporate Media and TV Awards stretches over two days in Cannes, The 2018 Production Music Conference will be in Hollywood.